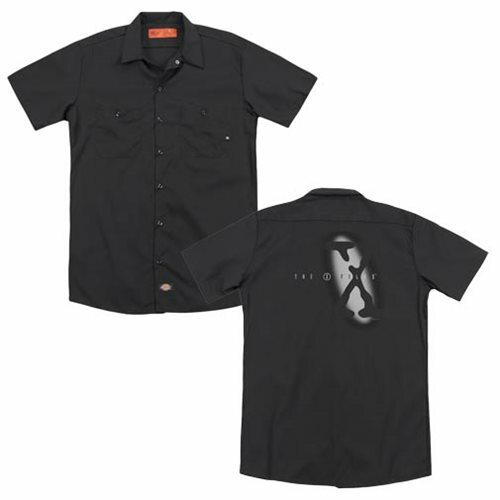 High-quality button up work shirt based on the hit television series X-Files. Commit yourself to looking good, with this X-Files Spotlight Logo Work Shirt! The work shirt features an image of the logo from the hit television series X-Files. The high-quality pre shrunk work shirt is made of 35% Cotton / 65% Polyester. Machine washable.